According to the World Health Organization, traffic noise leads to headache, high blood pressure, risk of heart diseases, stress and sleep discomfort. Traffic noise also affects people’s work performance – and reduces children’s learning and motivation. The Danish Environmental Protection Agency estimates that 723,000 Danish homes are affected by traffic noise – and that 140,000 homes are heavily noise-plagued with a noise level above 68 dB. Many of the most traffic-congested homes are older apartments in social housings in urban areas. Dynamic noise reducing shutters allow residents to open the windows for natural ventilation without being bothered by heavy traffic noise. Noise shutters also make it possible to sleep with the window ajar in bedrooms facing the street. And as large windows can be incorporated in noise shutters, residents have an unobstructed view when the shutters are closed. Easy operation with built-in electric motors and drive systems. Sleek and minimalist design, suitable for installation on several types of existing apartments. Integration of solar screening and easy natural ventilation with silent open-close. Optimizing insulation properties so that unwanted winter cold or summer heat can be kept out – thus improving the indoor climate – and reducing the energy consumption of the apartments. Other features at extra cost. 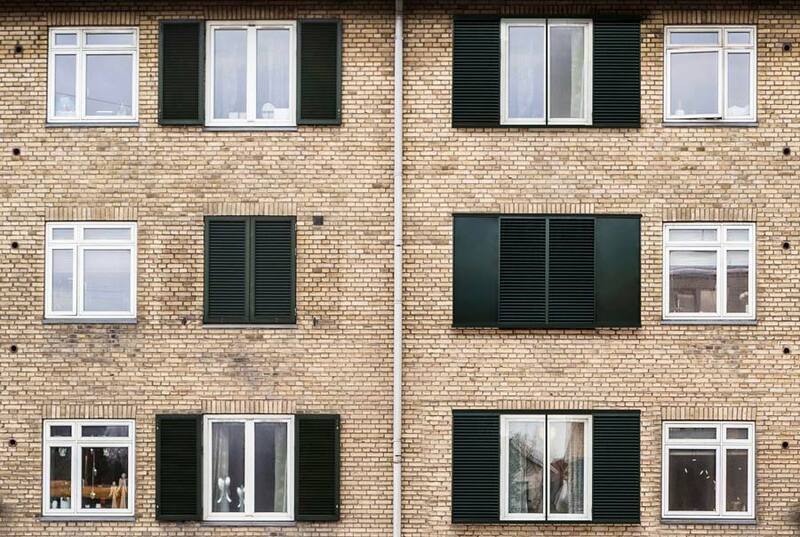 With noise reducing shutters, traffic noise-plagued buildings can be updated with significantly increased usability, better indoor climate and reduced energy consumption. And noise shutters will also be able to bridge to the energy efficiency and renovation solutions which have high priority these years.